Those of you who write for a living know the importance of setting up the right environment to get your work done. Keeping distractions far away from your writing environment is a must regardless of how you choose to go about creating your work (digitally or on paper). 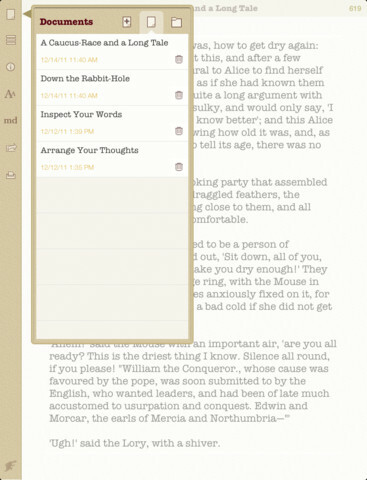 The Phraseology app for iPad is a simple client just for writers. It has a clean interface and comes with the tools you can use to write in a more productive fashion. Phraseology does not have fancy bells and whistles. But it stays out of your way to help you focus on your work. 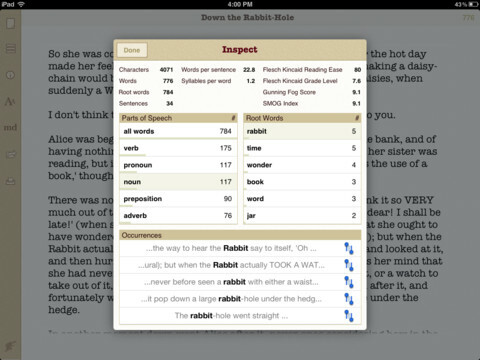 The app offers live word count and markdown support. Re-ordering and organizing your work can be done quite easily in the app. It also provides you with readability analysis. Integration with Terminology is a plus. Phraseology is highly customizable. You can change the fonts and their sizes easily. The AirPrint technology is supported too. The app works with Twitter. Importing/exporting is possible with text files. If you are a writer and need a clean app to help you focus more on preparing your work, Phraseology is what you need.